Every pet owner has been there...picking up after your pooch and you accidentally get a bit of the mess on your hands--GROSS. Well, this is one of the coolest and cleanest gadgets on the pet market today. 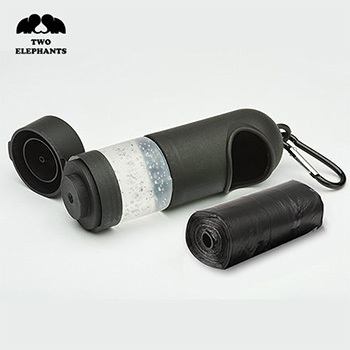 This poop bag dispenser & hand sanitizer pod makes certain the next time disaster strikes you can pick up after your furry friend and clean your hands immediately afterward. It is simply a dream come true for every dog owner.